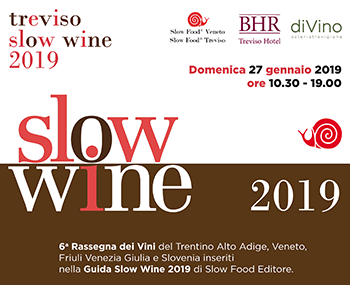 On Sunday 27th january the sixth edition of Treviso Slow Wine takes place at the Best Western Premier BHR Treviso Hotel, in collaboration with the regional coordination of the association Slow Food. Visitors can taste various kinds of wine of 90 wine producers from Italy and Slovenia. These wines will be matched with the food excellences prepared by the "Artigiani del Gusto" that have been selected by the association Slow Food Treviso. A contribution of 10 euro is required.